This is a nice beach that is in the extended part behind the hotel Gran Palais. 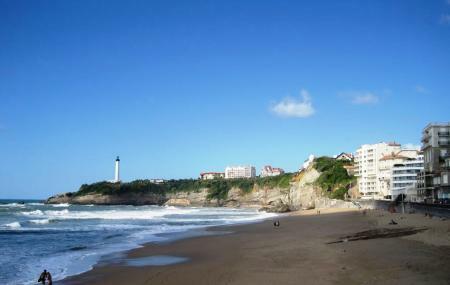 This beach is almost always crowded although swimming is not allowed here due to the high tides. The main activities here are body boarding, sun bathing, picnics and beach games. It is not a very big beach and not even as beautiful as the rest. It is however nice to spend a few hours with your friends out here. The beach is never monitored. Summer season is more crowded. Surfing is not allowed here. How popular is Plage Miramar? People normally club together La Grande Plage and Galerie 13 Avril while planning their visit to Plage Miramar. Une plage magnifique ! Un peu moins de monde que la grande plage !